Coffee is an old commodity. But the way we buy nowadays; tasting, describing and thinking about the coffee, it´s almost as if it is a completely different product. This applies at least to the coffee we know as specialty coffee. The definition of specialty coffee can be just that: a specific coffee, made by concrete - often named people, that causes the coffee to have specific taste attributes - which is attractive - and thus a market value as something special. These coffees come with a higher price: let us call it added value. Meanwhile, simultaneously to this development in the last 10-20 years, the industry has fostered personalities who have come to merit a place in coffee history. 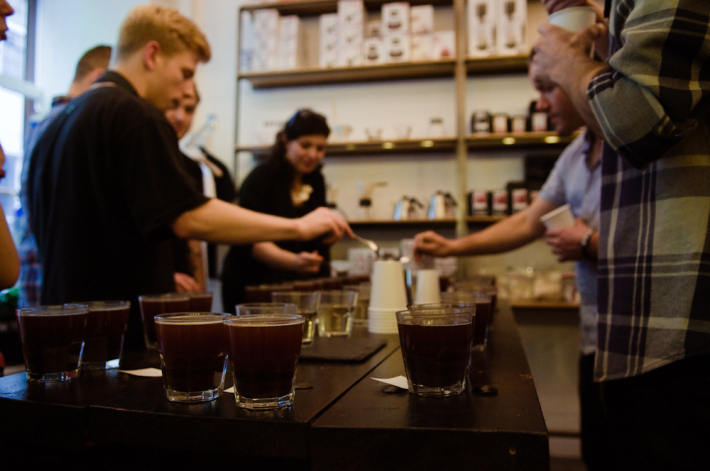 As the industry of specialty coffee is so young, and many people are working with coffee in groundbreaking ways, there are many who have been named (rightly or no) as experts and pioneers. In other fields those experts would have had to have studied and worked for a lifetime to be adorned with such titles. It is only with hindsight that we appreciate the true value of their work. However, I would like to take this opportunity, in the present, to talk about a person who has worked with coffee in a way that is going to make his mark on the history of coffee. There is evidence already. This year it is 10 years since Geisha coffee's unique flavor attributes were discovered at Hacienda Esmeralda, for which the whole Peterson family should be congratulated. But it is individual people who do very specific tasks. So in this little history of Geisha coffee, despite it being a truly familial endeavor, it is Daniel Peterson who will be designated as the discoverer. It was he who tasted his way through all the batches of coffee from the farms, to the revelation that one in particular had such unique attributes that it ought to be persevered. Exploration, tasting and description, is the key. To taste coffee is nothing new. But to work on it in a systematic way, carefully separating the coffee varietals when picking, separating sections from different areas of the farm, separating the day lots and tasting everything separately, is a relatively new concept in coffee farming. 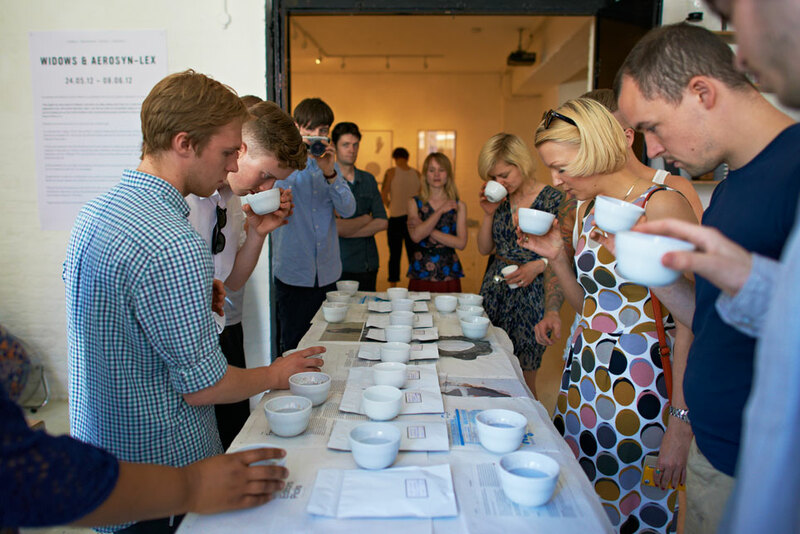 It was only when Daniel Peterson started working with this methodology in 2002 that he was able to discover the true character of Geisha coffee. 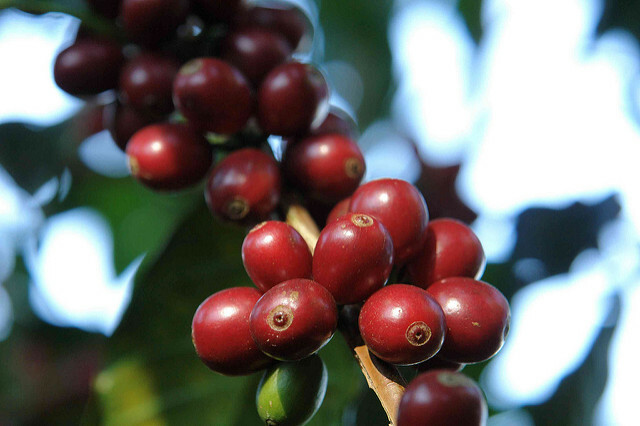 The Geisha varietal could be found in Central America decades before this "discovery". 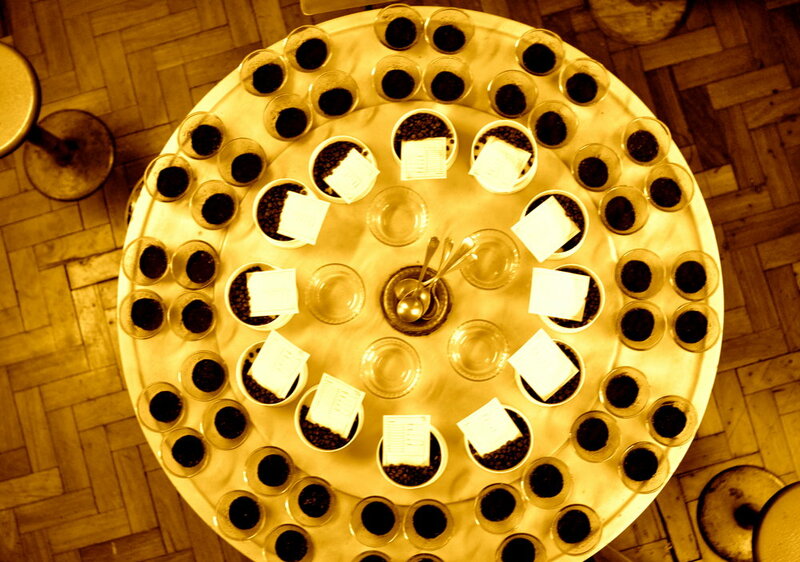 The first seeds were planted in Boquete in 1978 on the advice of coffee agronomist Francisco Serracín. Francisco is a coffee farmer himself, and has succeeded in producing one of the finest Geisha coffees in the world at his own farm, Don Pachi in Boquete. The discovery of the taste attributes of the coffee were as new to him as to everyone else when it was first ´discovered´ ten years ago. The varietal was in fact originally cultivated because of its resistance to fungal attack in the humid climate in Boquete, and not on account of its unique taste characteristics. 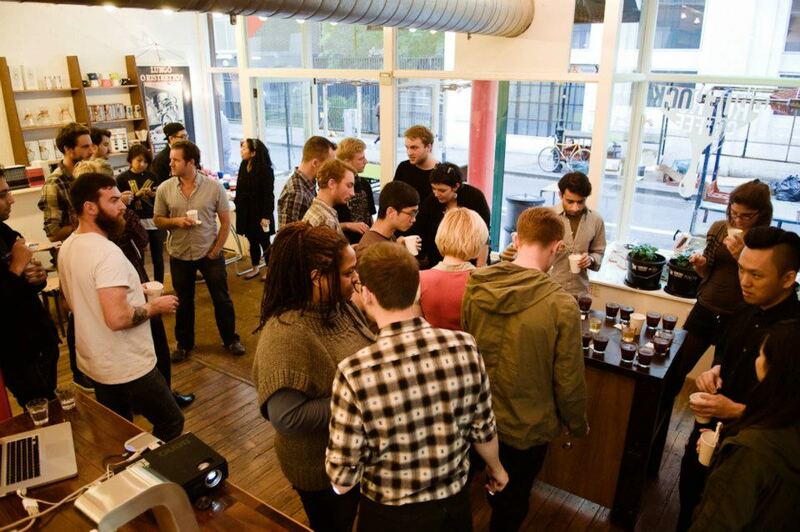 This is where the distinction lies between specialty coffee and commodity coffee. Yes, it is an agrarian commodity, but it can also be a product with concrete, sometimes subtle yet very desirable attributes. That is the kind of coffee we enjoy, and it is the coffee we now want to celebrate. Boquete is a small valley tucked in the corner of the Cordillera Central next to the towering presence of the Barú volcano. Here, the Peterson family have run their farm of cattle and coffee since 1967, under the name of Hacienda Esmeralda. The family's coffee farms are scattered around the valley. The Palmira farm is located near the farmhouse and processing station; Cañas Verdes is located at the foot of the volcano and the Jaramillo farm is located on the south facing slopes of the Boquete Valley. The Peterson family bought the 50 ha farm in the Jaramillo area in 1996 on account of its favorable microclimate and altitude: they grow coffee up to 1750 m.a.sl. Aside from these topographical recommendations, and the fact that the plants appeared to be in generally good health, little was known about what lay ahead. Cousin Mario, another of the Peterson clan, chose the best view of the property, with vistas of the lush Boquete valley, and on a clear day, the distant Pacific coast. Mario is a wooden furniture maker, enjoying quiet rural life with the family in his self -built house within the cosy walls of coffee bushes on the Jaramillo farm. But despite Mario´s domestic presence on the farm, it has always been Daniel who has looked after the coffee, and he is the man who found those unique coffee bushes up there on the hillside - but it took some years before this discovery was made. Daniel Peterson is a boqueteño, born in 1974, youngest son of Susan and Price. After studying, including periods in the U.S., he came home and took responsibility for coffee in the family business Hacienda Esmeralda. I became acquainted with Daniel on one of my new origin trips. Panama was the new destination, the year was 2005. In the Best of Panama competition (BoP) the year before, Daniel and his family won the contest with a coffee with a character that no one had tasted before in Central America. No one had ever before tasted a coffee from that continent that had such a floral aroma, and such a fresh acidity, with such a silky and elegant mouth feel. The closest one could get to explaining the taste was by referring to the best coffees of Yirgacheffe in Ethiopia, but even there you will not find a coffee that is quite so perfumed, and certainly not as well processed. At the ensuing internet auction, this little lot of coffee made at first historic - then astronomical prices - at $ 21/lb. It was initially thought that it was a hacker who had sabotaged proceedings, but no: it was just many, many willing bidders for the # 1 of Best of Panama! The following year it won again and we had to bid over $ 50/lb for the lot. Everything has changed since then. In those days there were only a few bags that went to auction, while the rest of the farm´s 100 bags of Geisha needed to find their buyers through other channels. We bought a small lot through Ian Kluse, a coffee trader in California. Then our characterful friend, Duane Sorenson of Stumptown casually wondered if we might share some bags of a coffee that he had come across that was completely 'radical, man'. Sure, man! We paid $10/lb. for that coffee, outside the auction. At the time that was 6 times more than paid for specialty coffee elsewhere. But this was more special! This was at a time when it had not yet become common to communicate the coffee´s varietal. But with such explicit flavor attributes it became necessary to refer to that, since terroir alone could not explain it all. Thus there has been a clear shift in how we must now communicate coffee flavour: it starts with the varietal. 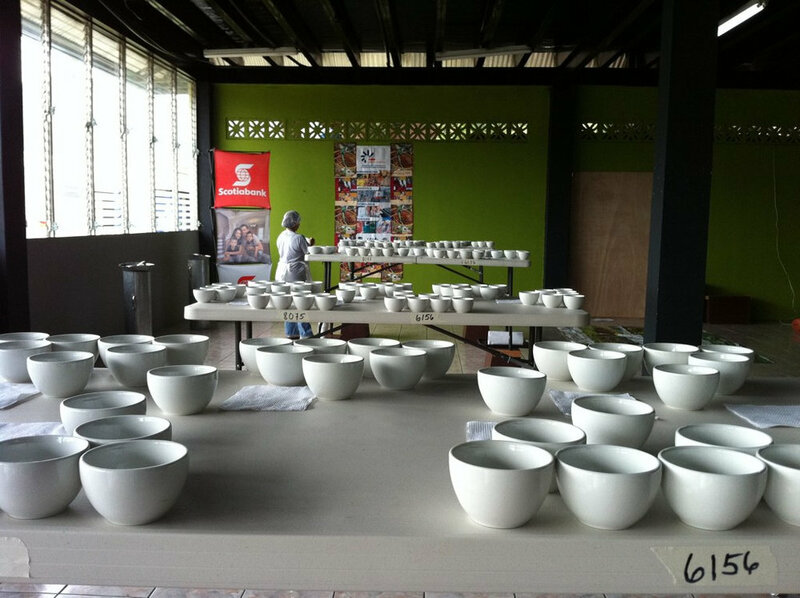 Some years earlier, Daniel and Ian (Kluse) got to know each other around the cupping table at Hacienda Esmeralda. Hacienda Esmeralda has many types of coffee from different farms and Ian traded from these. 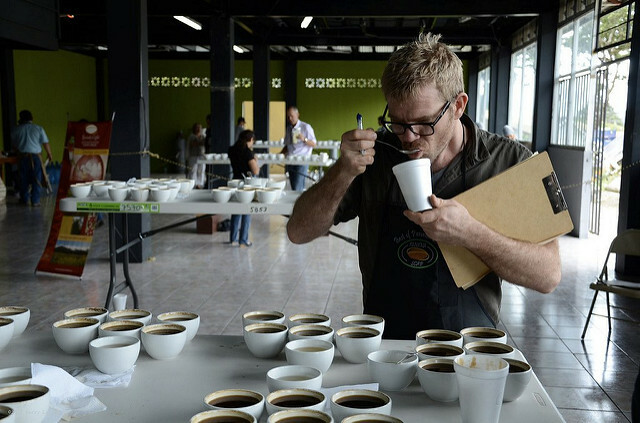 Ian was already trading green coffee with customers in the U.S. who would pay a little extra for a coffee that had extra freshness of acidity, and Ian was in Boquete to test this year's harvest. 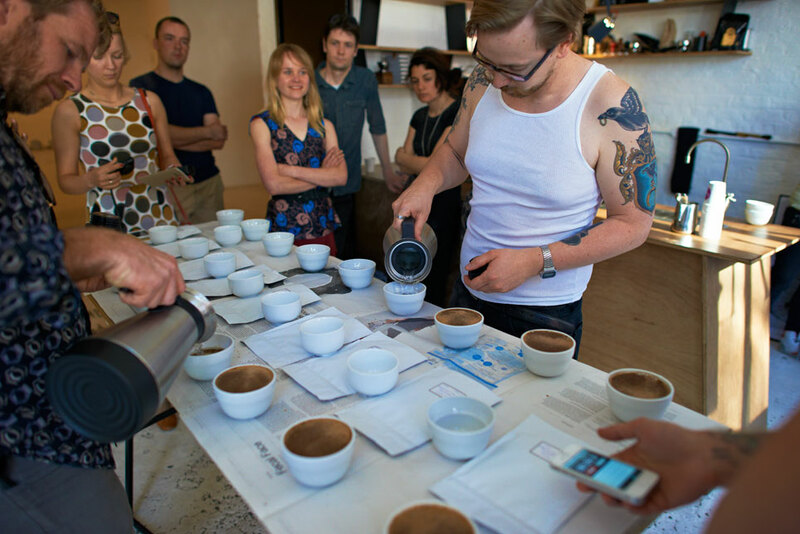 As a coffee farmer, Daniel´s interest in the sensory evaluation of coffee was once a rarity. The custom at Hacienda Esmeralda has always been to pick coffee berries as they ripened, plot by plot, but all the coffee from Jaramillo was mixed. It was only in 2002 that Daniel became aware that it was the few plants (3%) on the farm of this special varietal, which elevated the overall fresh acidity of the whole lot. Daniel began to selectively pick and separate the berries that he considered to be the particular varietal creating this unique aroma and flavour. This is where the new era begins. Daniel is a meticulous, curious and ambitious person. When I visited him in 2006, I was presented with a coffee that he had put great pride in "making". Daniel had selectively picked from the areas on the farm he had presumed to be the best. He then tasted his way through the coffees, selecting only the best, mixed the small lots, and sold it as Esmeralda Special Geisha. Winning the BoP every year from 2004 to 2007 would suggest that this was not a bad strategy. But I wondered if it would be possible for us - who would buy his coffee anyway - to taste the day lots, from different areas of the farm separately. Given that the characteristics would be slightly different from area to area, from early to late in picking season, we would thus be able to select the best of the best. To begin with, Daniel wasn´t sure of idea of etting us have this opportunity. He had, after all, taken great pride in finding the best, and then creating (by blending) the best of the best. But the following year Hacienda Esmeralda agreed to this strategy. They even put up an auction where they offered small lots from all areas, with different picking dates. 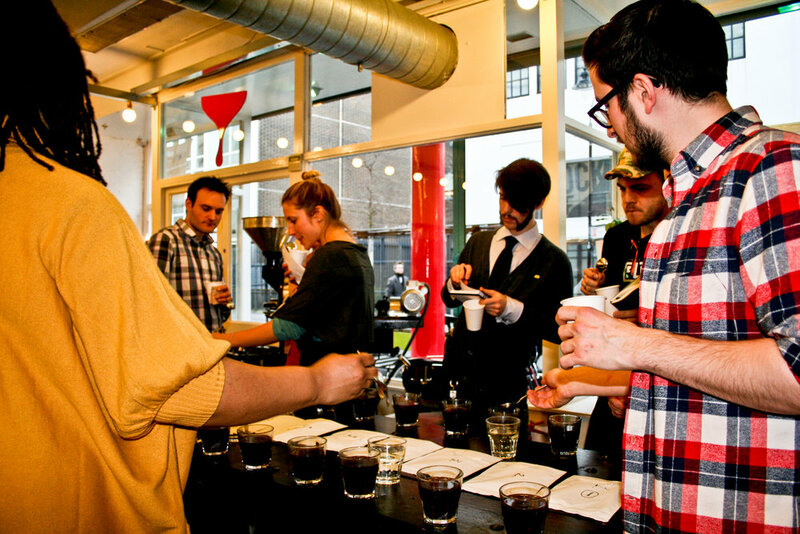 All were from Jaramillo, everything was Geisha, but all the lots were a little different. It was a success! They early Hacienda Esmeralda Special Geisha offerings have become an exercise in showing the different characteristics and potential of a single varietal; with aromas ranging from highly refined bergamot to jasmine; flavors varying from stone fruit sweetness to citrus acidity, and different mouth feels - and all from a small geographical area. Prices at auction have also shown that subtly different attributes attract different buyers, and show that roasters are valuing those attributes very differently. 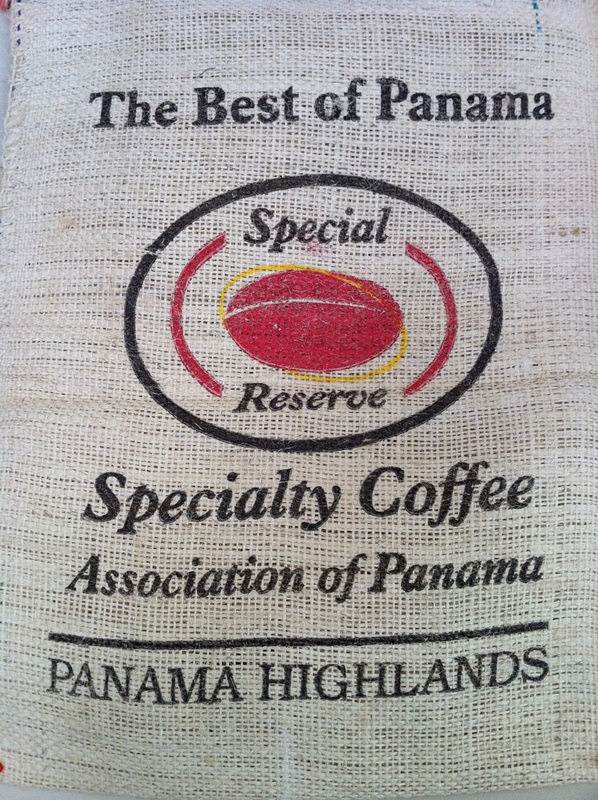 This auction has now become a yearly barometer for the value of The Geisha Coffee from Boquete in Panama. The Coffee World can consider itself lucky that this single piece of land, a small coffee farm in Jaramillo, Boquete, ended up in the Peterson family's hands. In such a short time, the trend in the specialty coffee world has gone completely parallel to this story: this practice is no longer unique to Hacienda Esmeralda. 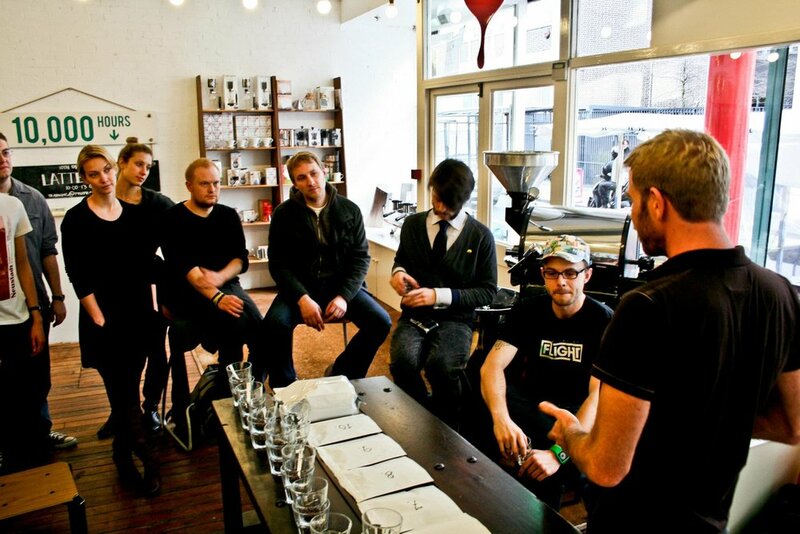 In that sense, this is also the story of the development of specialty coffee in recent years. Lucky for us, that at this time in history, in our time, a clever young man named Daniel, saw an opportunity – and grabbed it with both hands. Daniel's work and his impact on specialty coffee are undeniable, but still the inquisitive and dedicated family as a whole must be commended. In a clever way, the Peterson family of Hacienda Esmeralda have helped us to define the true value of truly good coffee: it’s about its taste. And that is priceless.